UT offers a lot of opportunities for fun and socializing - some of which include opportunities to drink alcohol - but not all Longhorns choose to drink. In fact, 71% of UT students report that the last time they socialized or partied, they had four or fewer drinks. Whether you're celebrating a Longhorn football victory, hanging out in a friend's West Campus apartment, or going to a concert downtown, knowing how to party smart will help you have fun and get home safe at the end of the night. 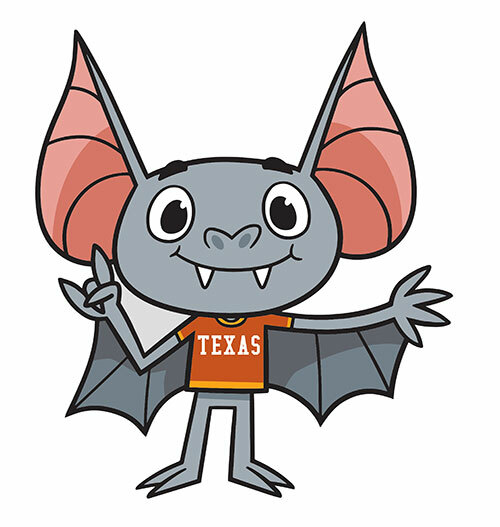 Bruce the Bat is your guide to finding fun new things to do in Austin. He'll introduce you to new museum exhibits and hiking spots and keep you up to date on events happening here at UT. Bruce also knows a lot about Longhorns' social habits, including how much and how often UT students actually drink. Bruce gives tips on ways you can reduce your risk of experiencing negative consequences like blacking out, throwing up, forgetting where you are or what you did, or getting separated from your friends if you do decide to drink. Follow @BruceTheBat on Facebook and Twitter and Instagram! Not everybody. According to the 2017 National College Health Assessment survey, 28% of UT students chose not to drink any alcohol at all the last time they socialized with friends or partied. Out of UT students who do drink, 60% report that they do so moderately by having four or fewer drinks per occasion. Choosing to drink moderately or not drink at all is associated with a higher GPA. Only 3 in 10 UT students binge drink, defined as having 5 or more drinks in one sitting. Instead, most Longhorns decide on a drink limit ahead of time, keep track of how many drinks they've had, and let a friend know when they've had enough. Set a limit. Know how much you plan to drink ahead of time. Learn how much alcohol is in a standard drink and use Virtual Bar to explore how different types of alcohol can affect your body and mood. Eat, drink water, and be merry. Alcohol and an empty stomach are a bad combination. Avoid feeling sick by eating before you drink and snacking while you're out. Alternating alcoholic drinks with water or other non-caffeinated drinks can also help you stay in control. Count your drinks. 1 in 3 Longhorns keeps track of how many drinks they've had whenever they're partying. Counting your drinks helps you know what to expect during your night out. Have a plan. If you're going out with friends, make a plan for how you're all going to get home. If you're all planning on drinking, split a rideshare or take the E-Bus for free with your UT ID. If you're on the main campus, you can also take a free LYFT home using SURE Ride or request a SURE Walk. Longhorn football fans come early, cheer loud, and stay late! 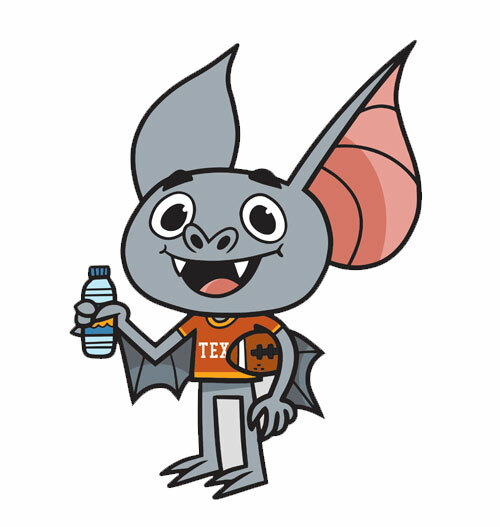 Bring an empty, reusable water bottle with you to the football stadium and fill it at a water fountain so you can stay hydrated during the game and beat the Texas heat. For more information about Darrell K. Royal Stadium, click here. Longhorns stay with the herd and help each other out. UT's Alcohol and Drug Amnesty Policy ensures you can always call for help in an emergency without worrying about getting yourself or someone else in trouble.